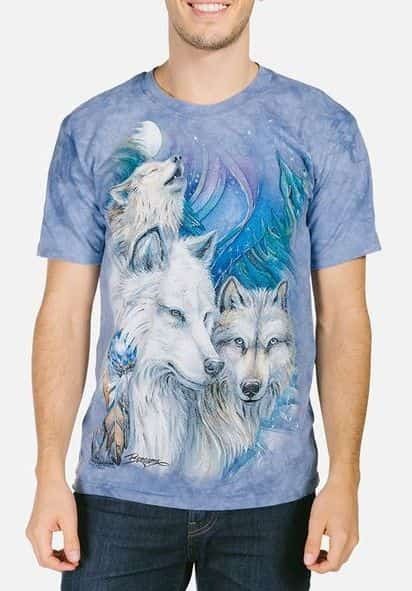 Big Face™ Fox T-shirt from The Mountain® features the wildlife artwork of David Penfound. Looking for a shirt that creates impact? 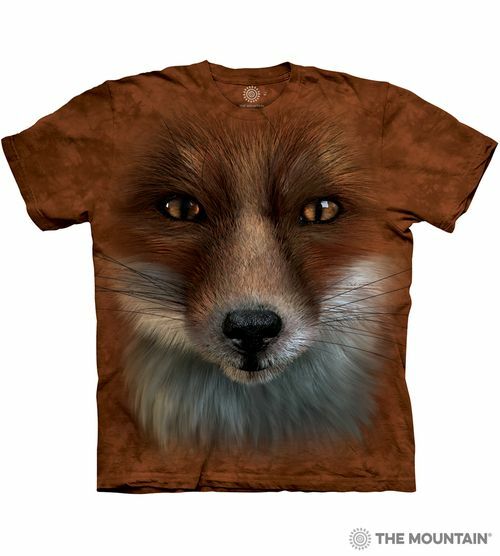 This Big Face™ design features the face of a fox. While it's not technically 3D the sheer scale of the image gives the image a 3D appearance. 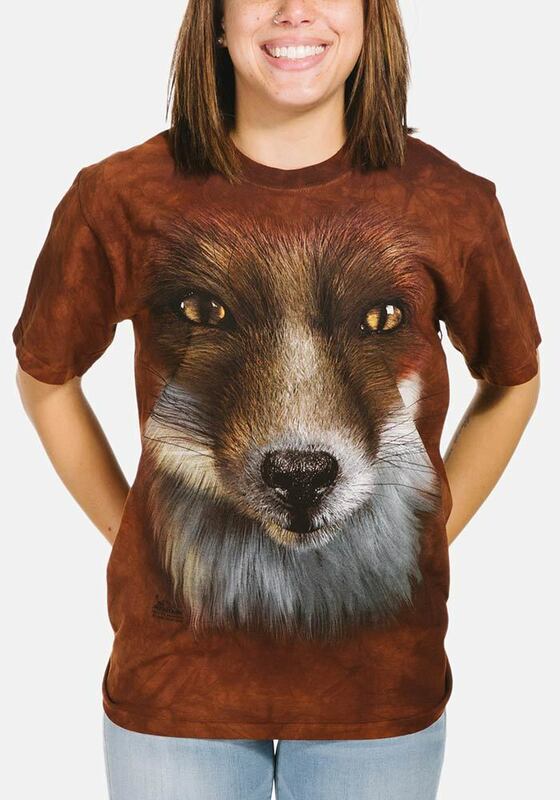 This fox face t-shirt is unisex with a classic cut and perfect for men or women. Did you know? Male foxes are called dogs or reynards and female foxes are called vixen.